The joy of sweet corn is that it often needs no company to be transcendent. The same is true for bourbon. But even if bourbon doesn’t need an assist, that doesn’t mean its amber waves of great can’t help out a dish or syrup. Here are five ways to get more bourbon in your life right now. 5. SAP’s bourbon barrel-aged maple syrup: SAP’s syrup is rich, deep-bodied and the color of the amber that once trapped a mosquito in “Jurassic Park.” Dear pancakes, welcome to adulting. Beyond breakfast, a teaspoon of this syrup would be right at home in an Old Fashioned or a hard cider cocktail. 4. BLVD Tavern’s Chicken-n-Biscuit (320 Southwest Blvd. ): The brunch-only creation is a nap-inducing, corn-flake-fried chicken that comes with a buttermilk biscuit and bourbon syrup. This is the sweet and salty mashup the brunch world needed. 3. Kilo Charlie’s bourbon-infused nitro coffee (106 W. 12th St.). Kilo Charlie, the coffee shop attached to the Hotel Phillips, has been reborn as a java outpost featuring Parisi Coffee. The bourbon attraction here is nitrogenated coffee infused with Tom’s Town Distilling Co.’s Pendergast Royal Gold Bourbon. 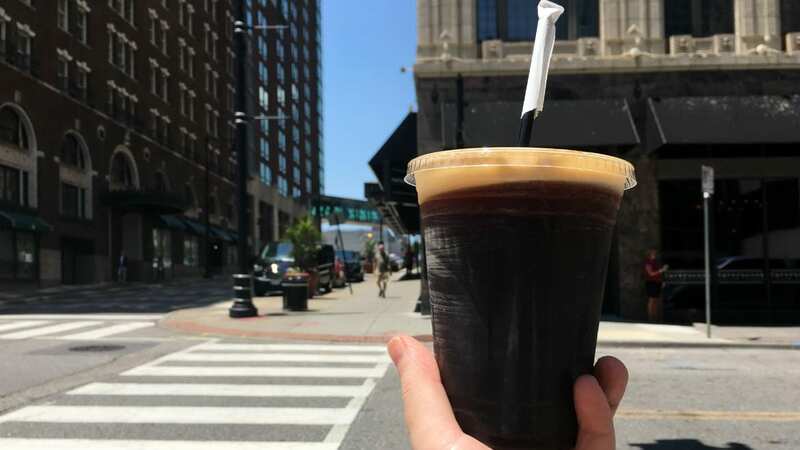 The cold coffee, which is non-alcoholic, has a bit of bite (think about that first jolt of root beer when you were a kid) before a creamy finish. 2. Blind Box BBQ’s bourbon baked beans (3214 W. 62nd Terrace, Shawnee, Kansas). These beans dance dangerously close to chili. You can eat them with either a fork or spoon, and each bite has sweet and smokey notes. If you like a bit more heat, add a dash of the house sauce. Sneak in for happy hour from 3 to 6 p.m. Monday through Friday, where a $5 Old Fashioned or Manhattan and a side of beans will eat like a meal. 1. Swordfish Tom’s (210 W. 19th Terrace) War of The Roses. We couldn’t go through this whole list without letting you drink bourbon. Remember, bourbon doesn’t need help. But it can have a few back-up singers. 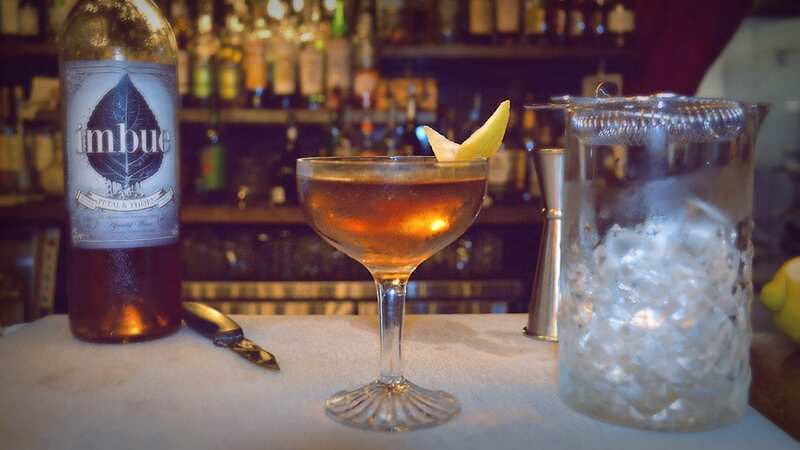 Swordfish Tom’s has the Manhattan Project, a whole list of Manhattans, and the War of The Roses is made with Four Roses bourbon, Imbue Petal & Thorn vermouth, Koval rose liqueur and garnished with a lemon twist. — Follow @FlatlandKC on Twitter and Facebook for more bourbon, beer and food news.